Below, I am sharing my WIP swatches and notes. 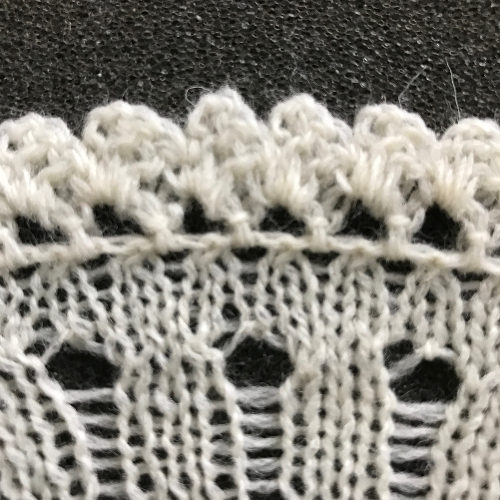 I am presently working on some production knitwear pieces, and it is unclear when I will return to more samples of this variant. 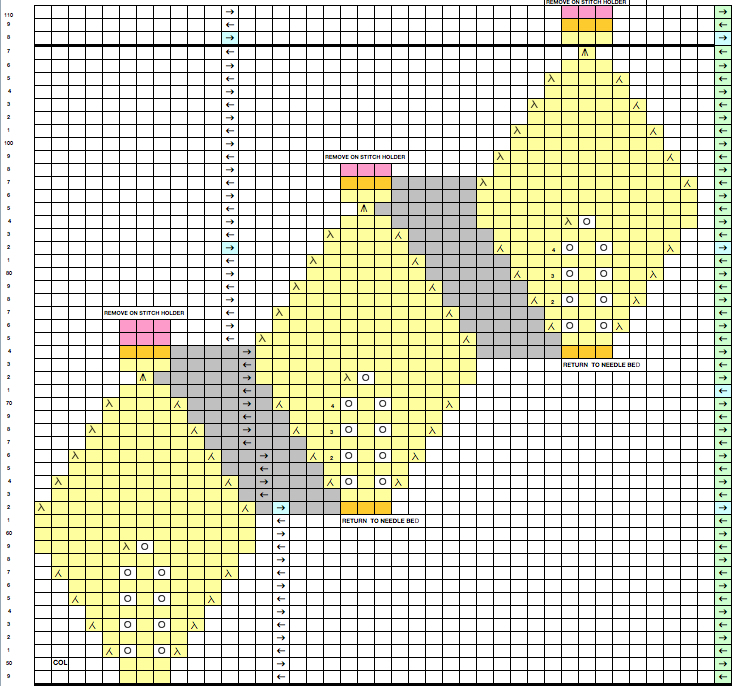 A couple of days later the fabric was still lying flat, so I decided to try to chart it out for slightly different results, while planning for a different turning angle and a consistent number of ladders throughout. 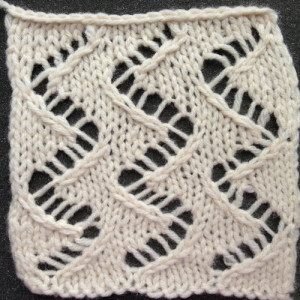 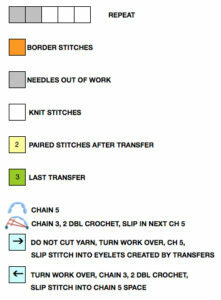 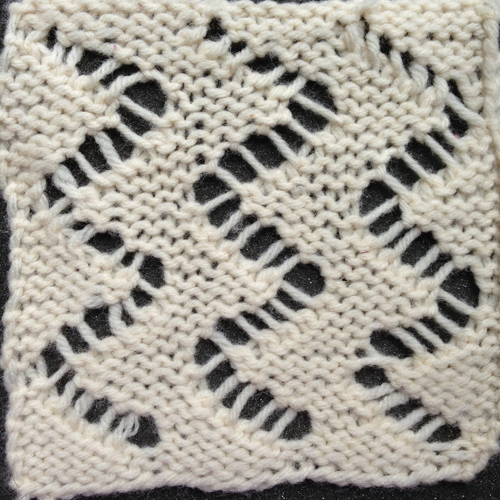 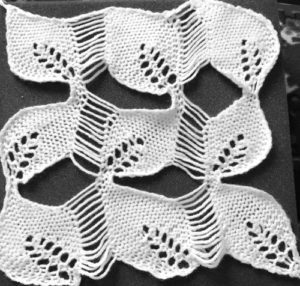 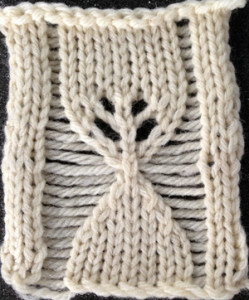 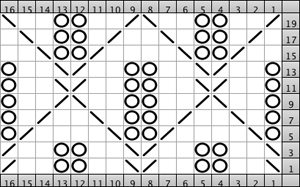 For links to online tutorial by others authors http://alessandrina.com/2013/10/29/charting-knits-in-excel/, a search in my own blog will lead you to my own explorations over time. 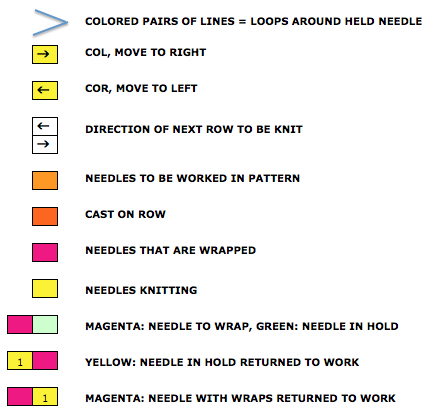 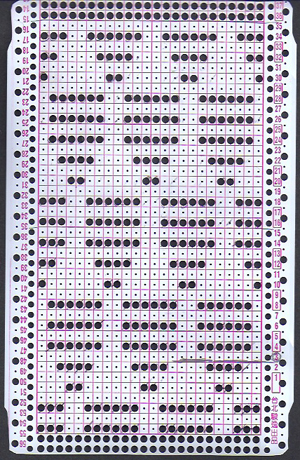 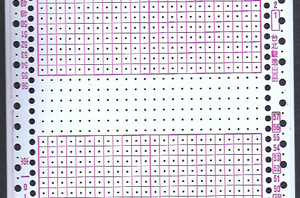 Simple graph paper and color pencils may be used if software is not available to help work out proper repeats, etc. 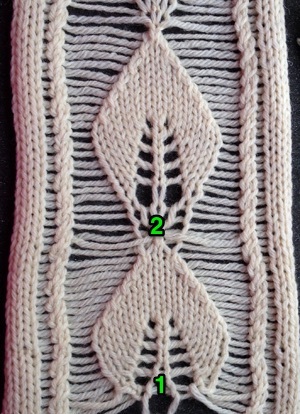 A single repeat of my leaves so far is shown in 2 segments for increased visibility, successful knitting, probably in another “killable yarn” tbd. 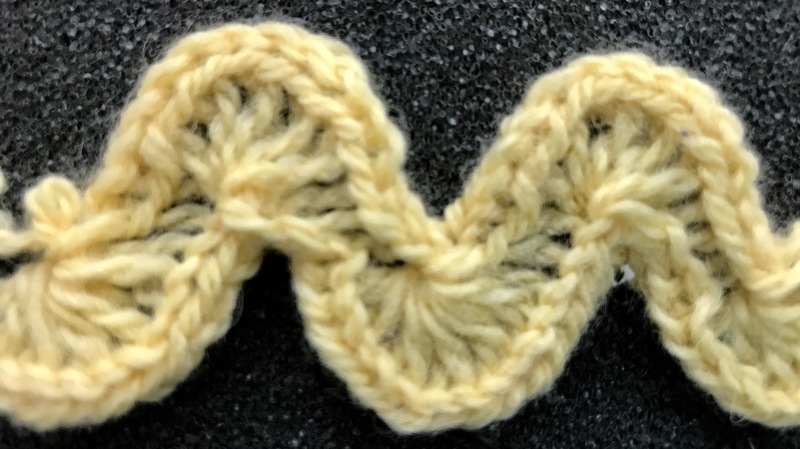 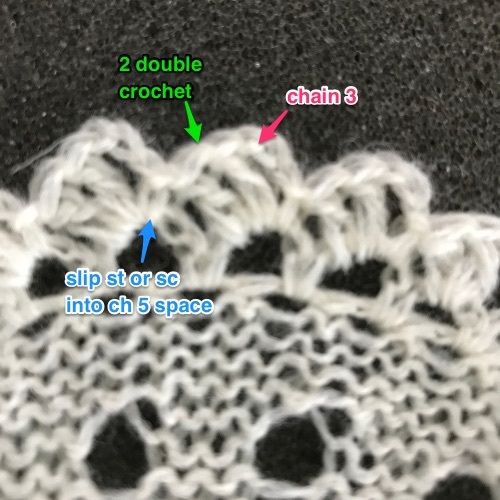 I have recently been thinking about collars and edgings again, this time adding crochet detailing to help cut the edge curl and add interest. 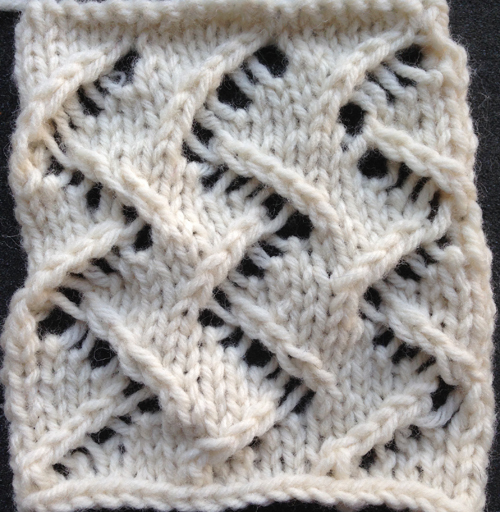 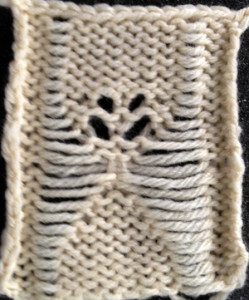 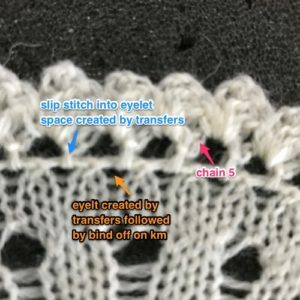 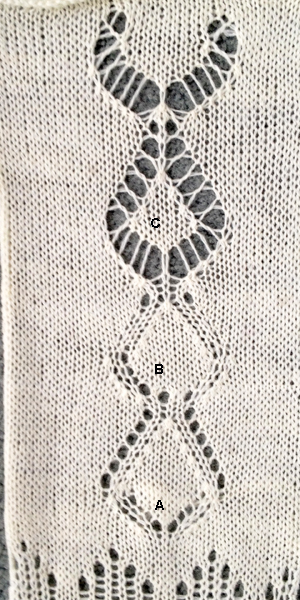 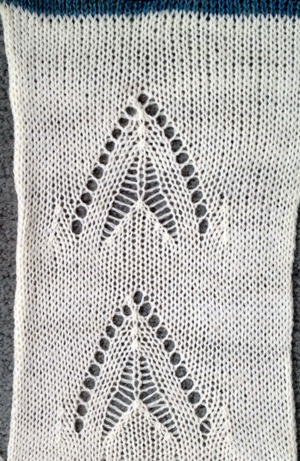 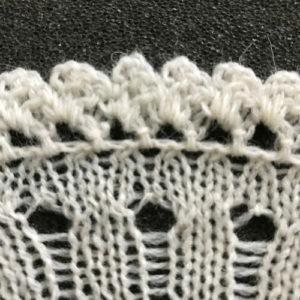 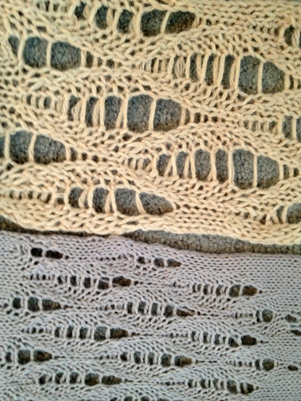 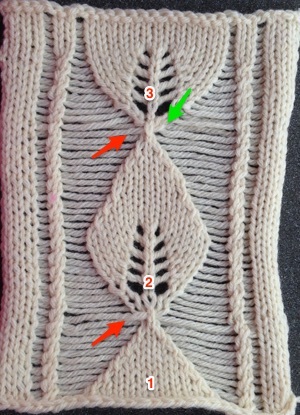 In a previous post I showed an edging done in drop stitch (double bed lace). 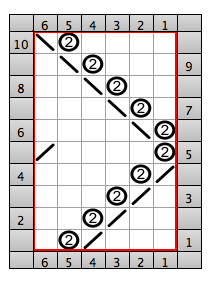 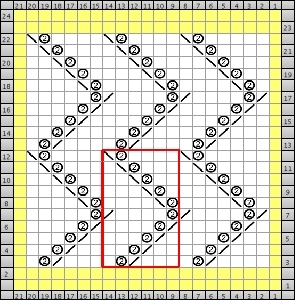 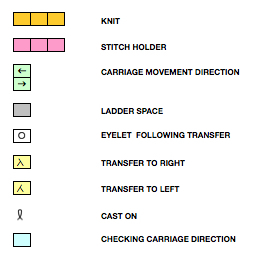 Here to simplify things, I decided to work with ladder spaces to create the fabric. 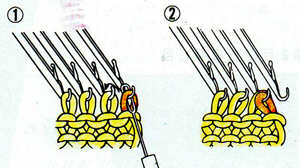 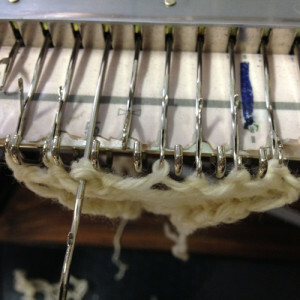 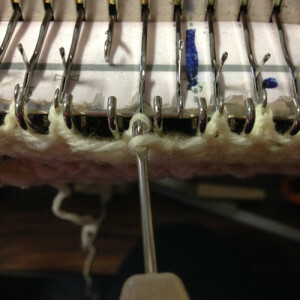 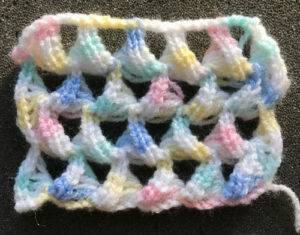 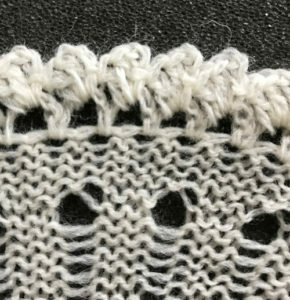 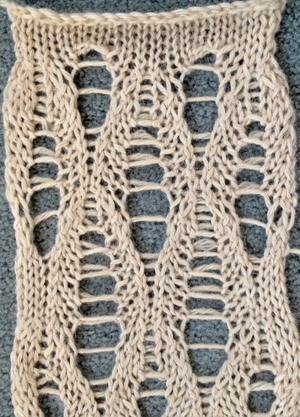 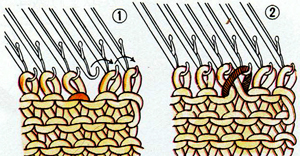 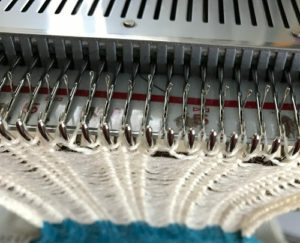 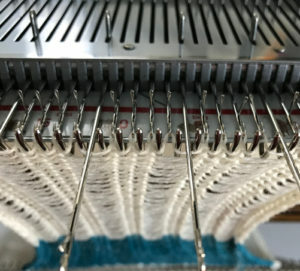 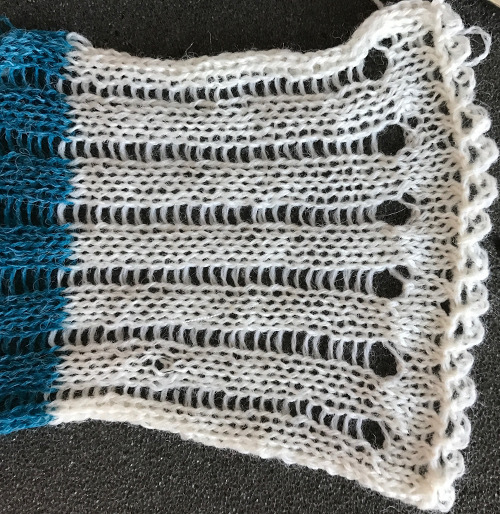 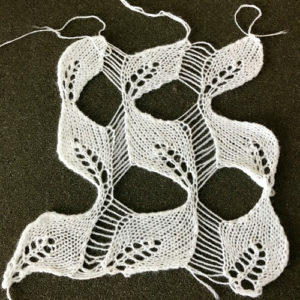 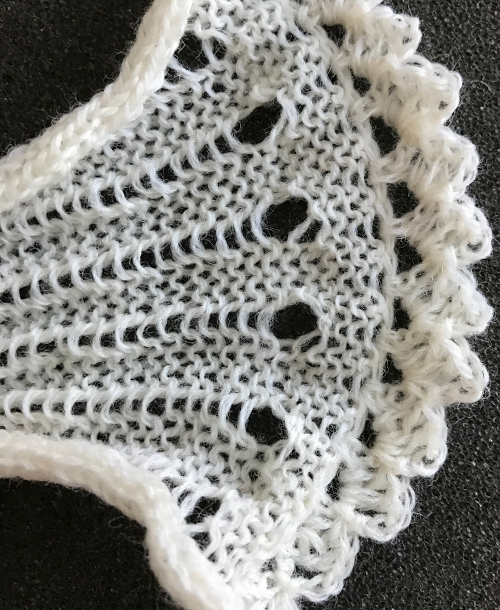 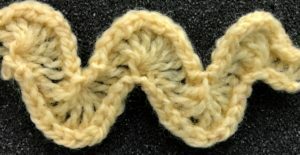 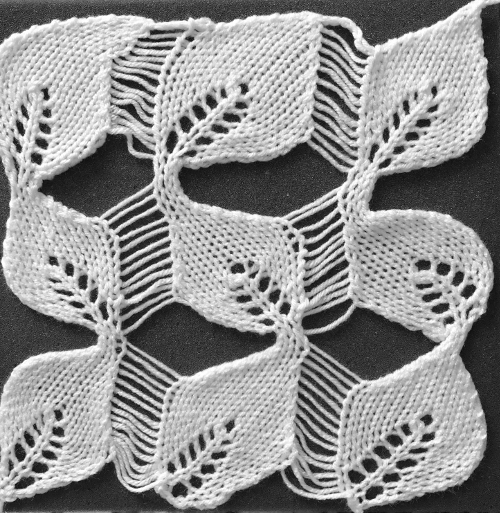 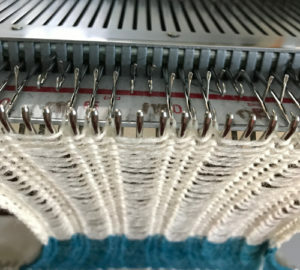 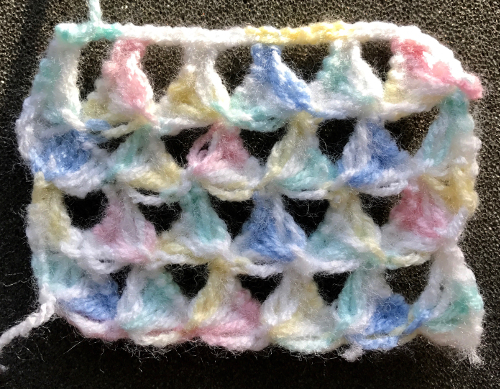 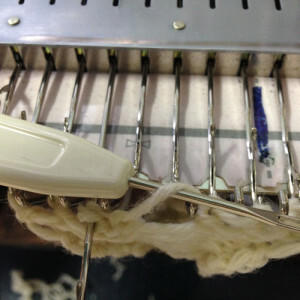 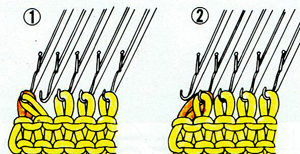 If a large width of this fabric is required, multiple bands would need to be joined to achieve it, crochet is then applied in turn to the the finished knit piece. 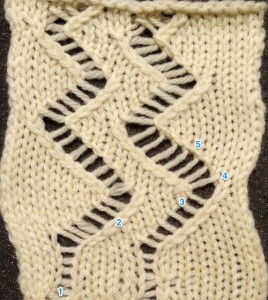 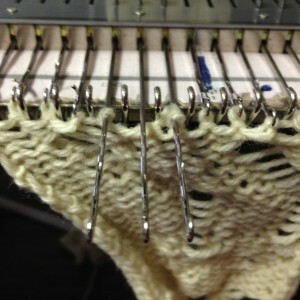 Seam as you knit can make the joining nearly invisible. 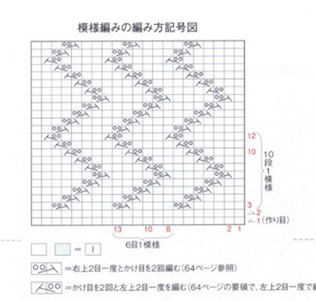 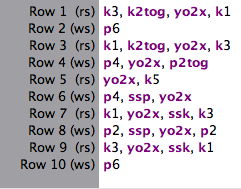 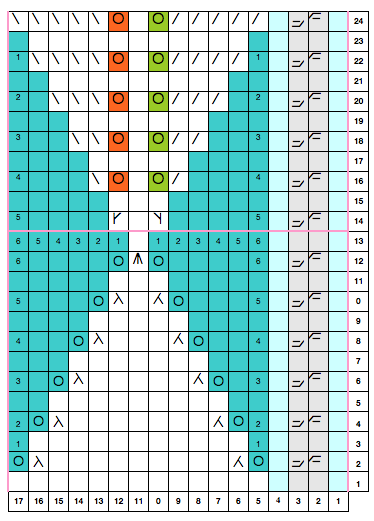 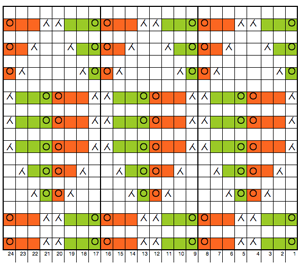 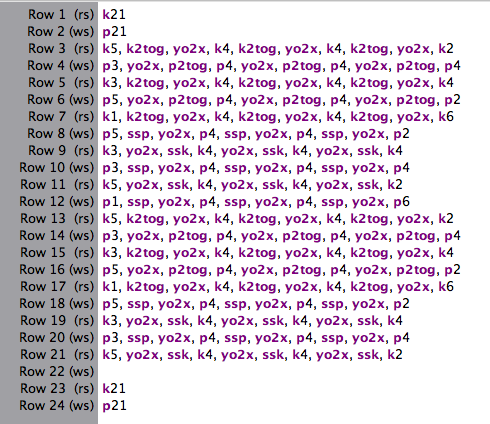 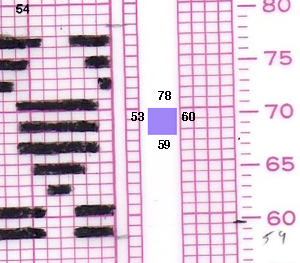 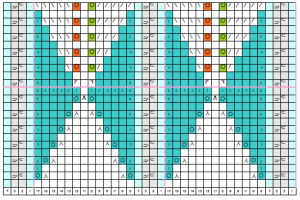 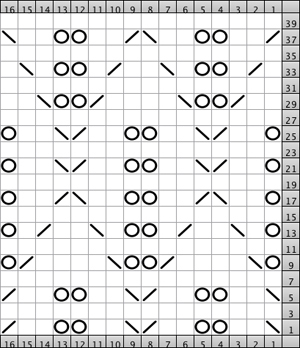 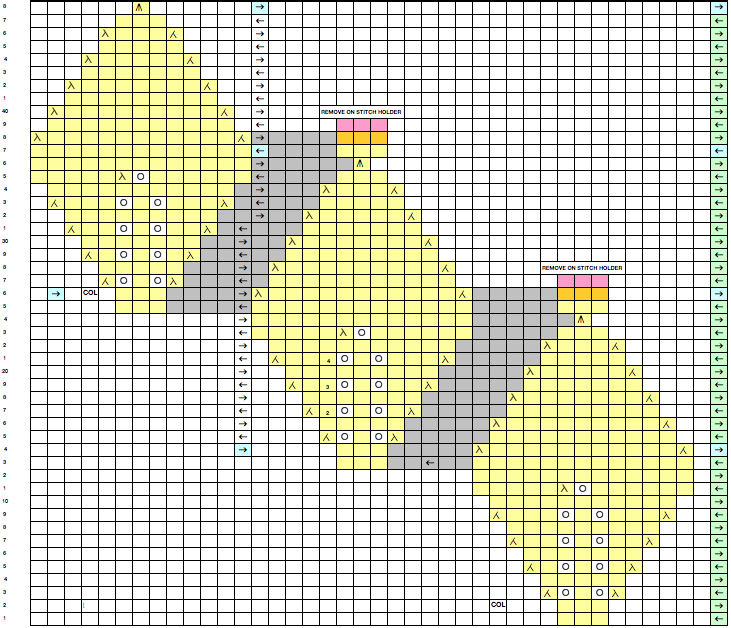 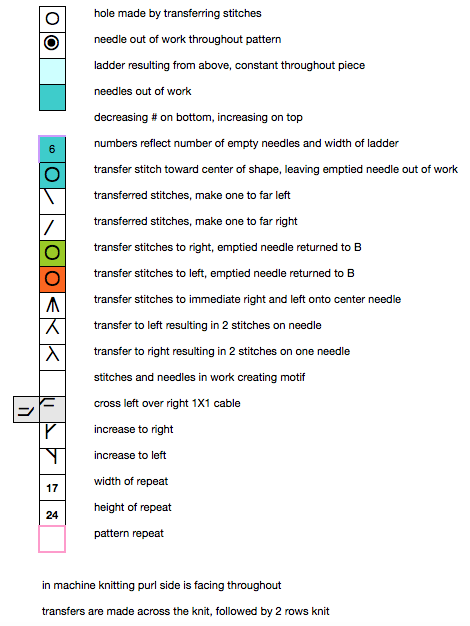 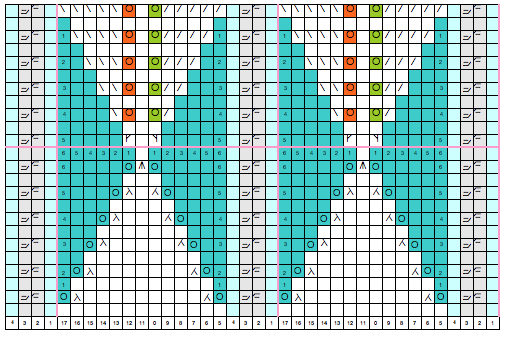 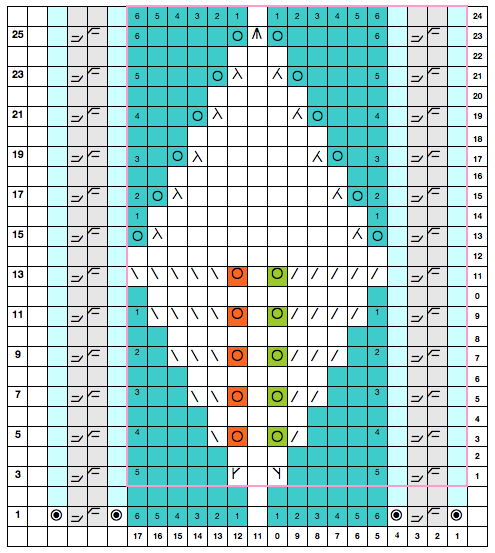 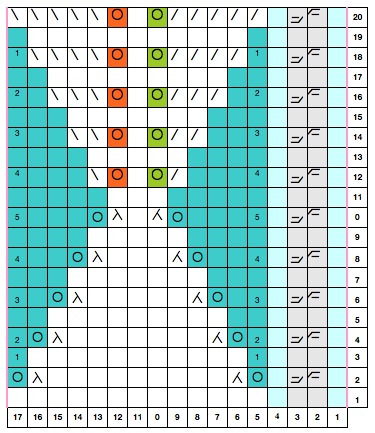 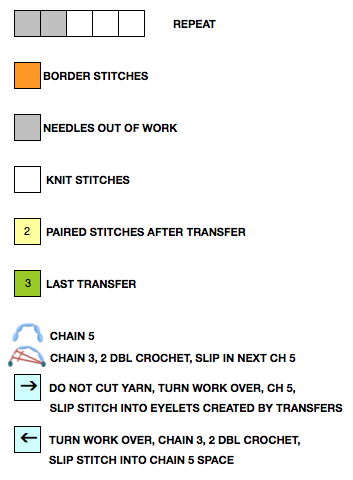 Using excel, I tried to also create crochet symbols using its shapes menu. 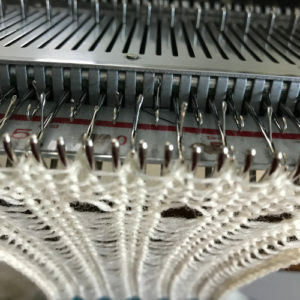 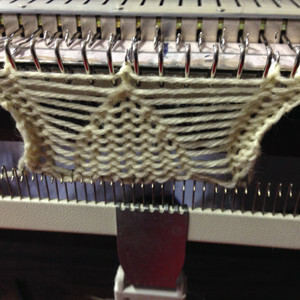 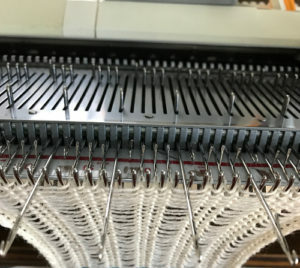 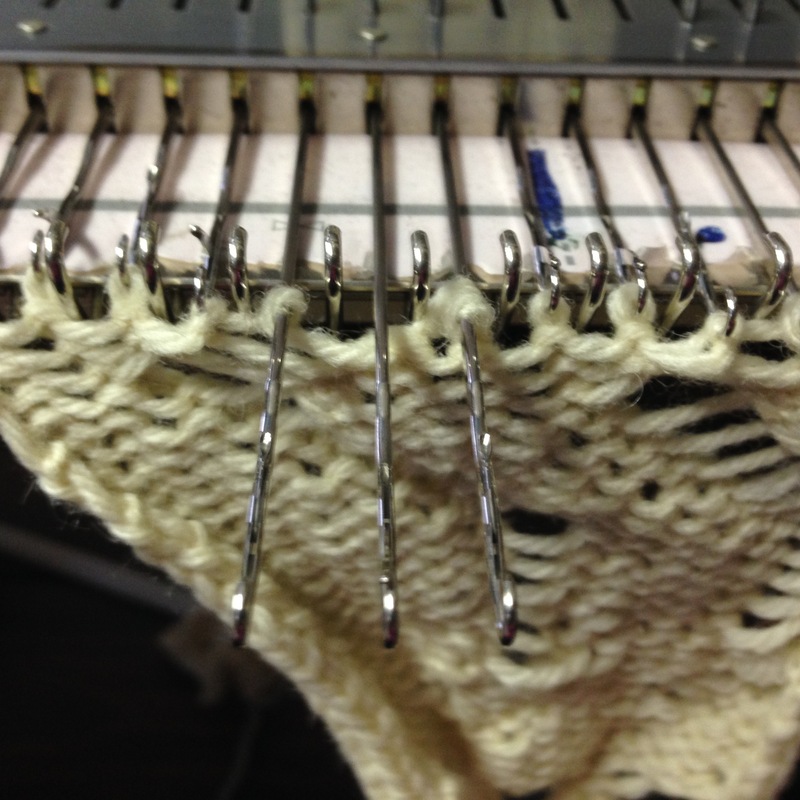 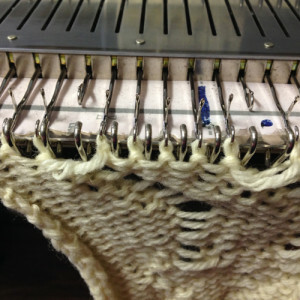 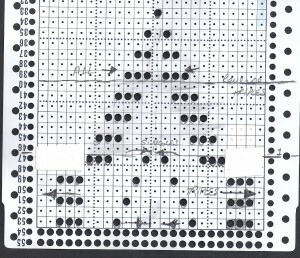 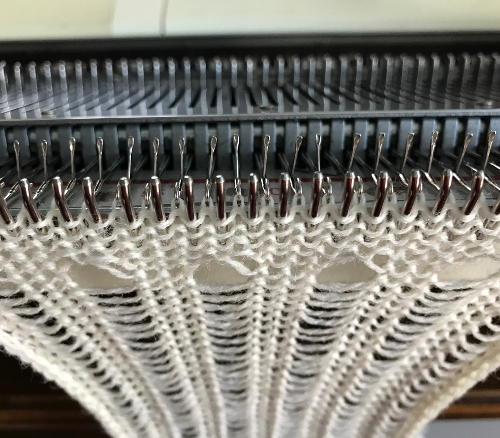 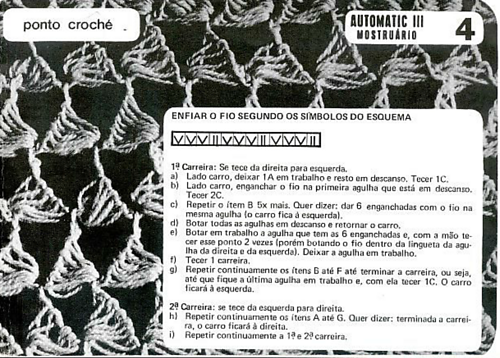 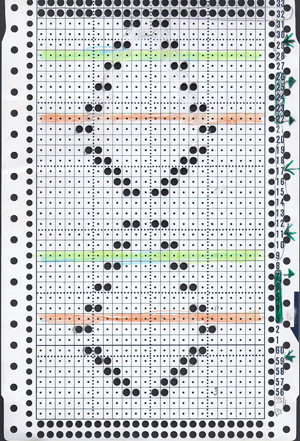 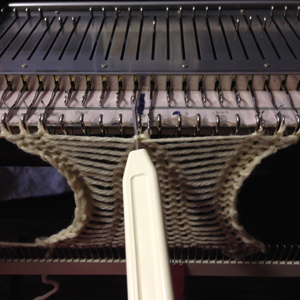 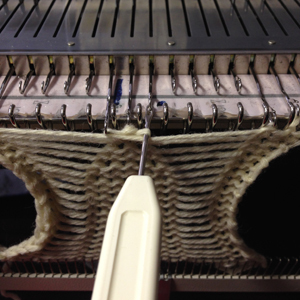 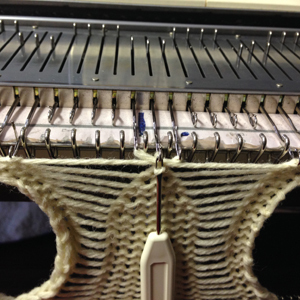 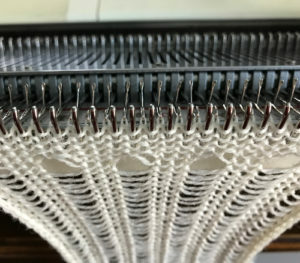 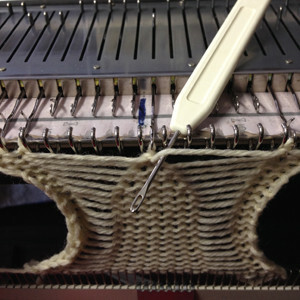 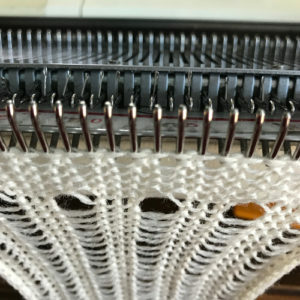 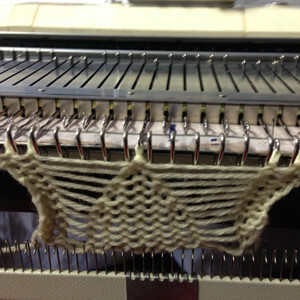 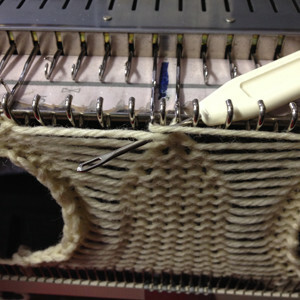 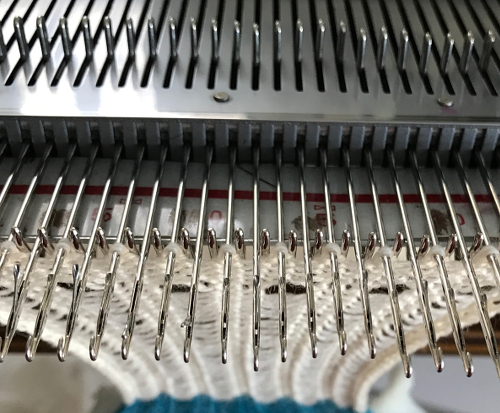 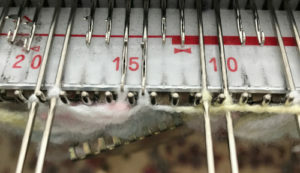 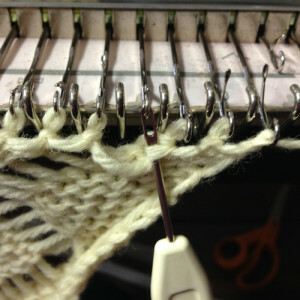 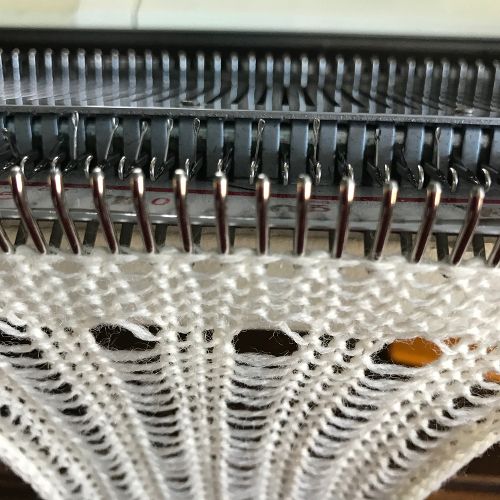 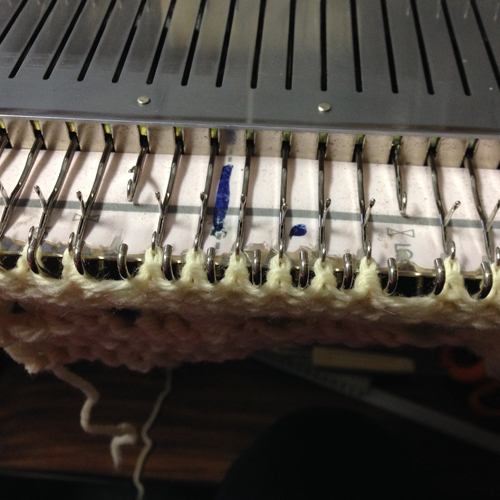 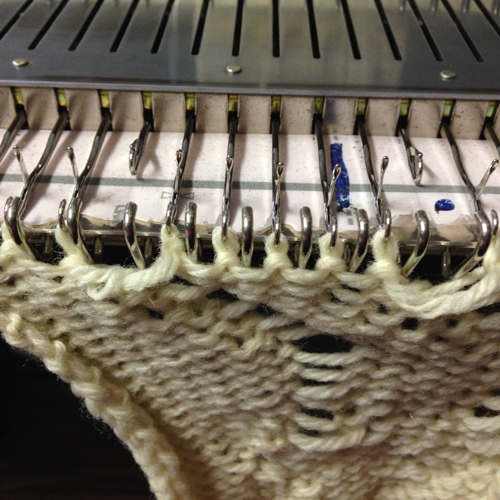 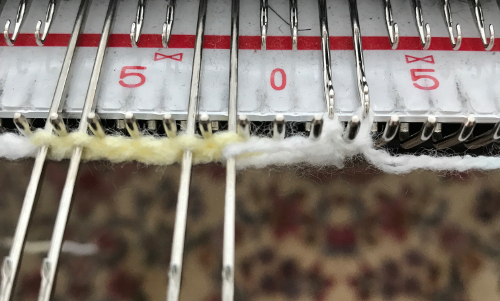 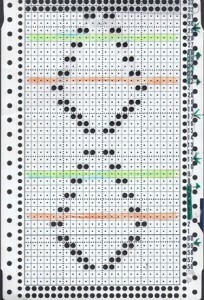 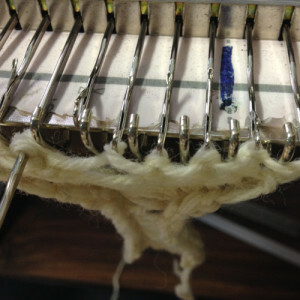 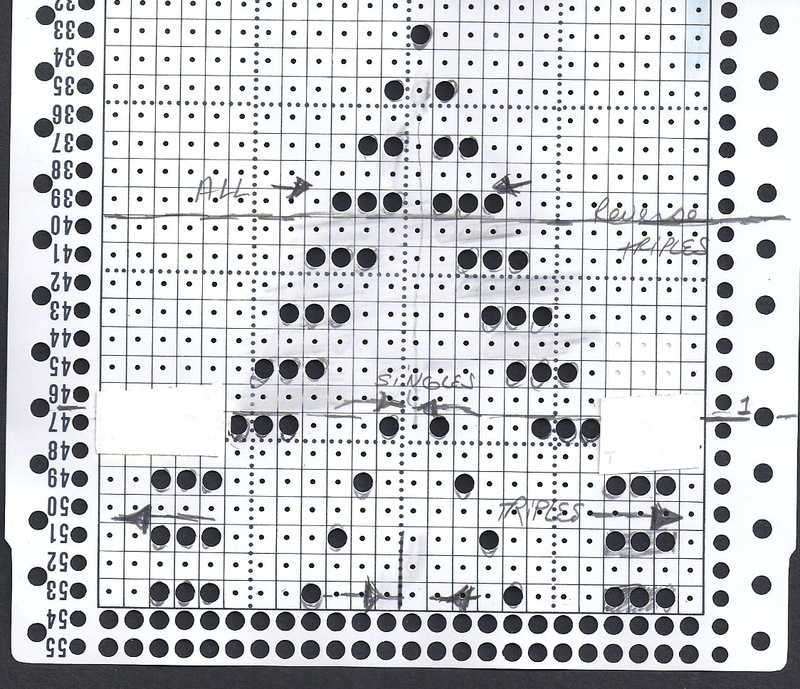 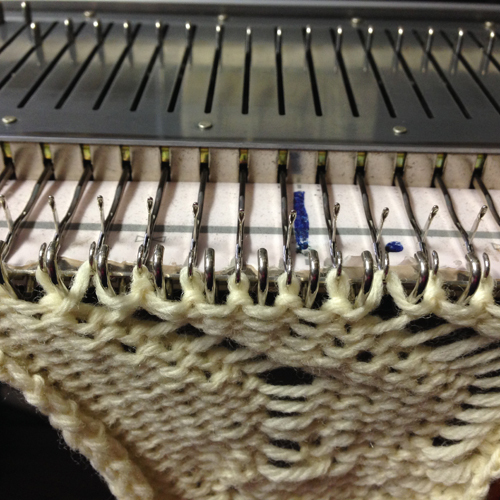 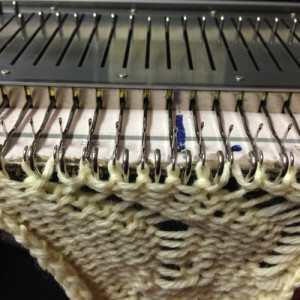 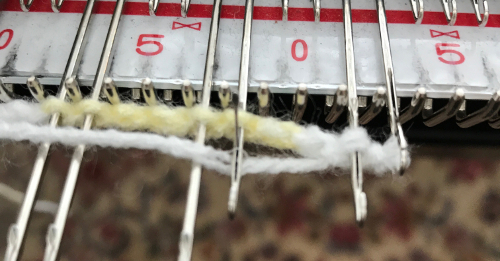 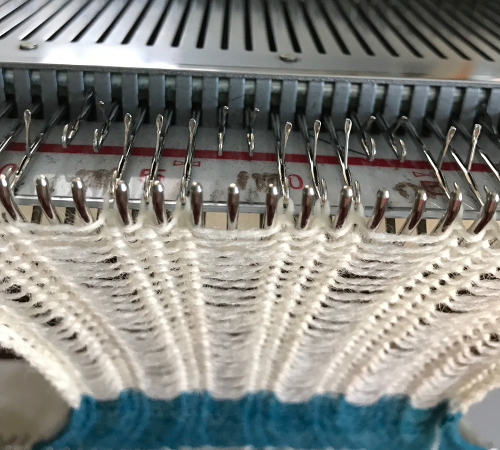 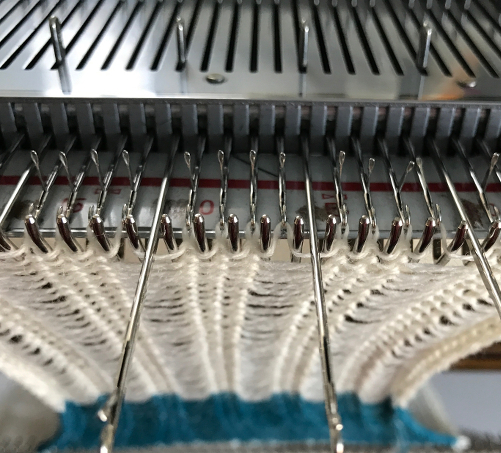 The number of rows knit in open pattern or all knit prior to binding off are at your discretion, depending on your needs and planned final product. 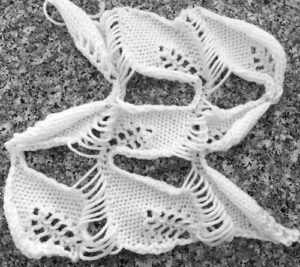 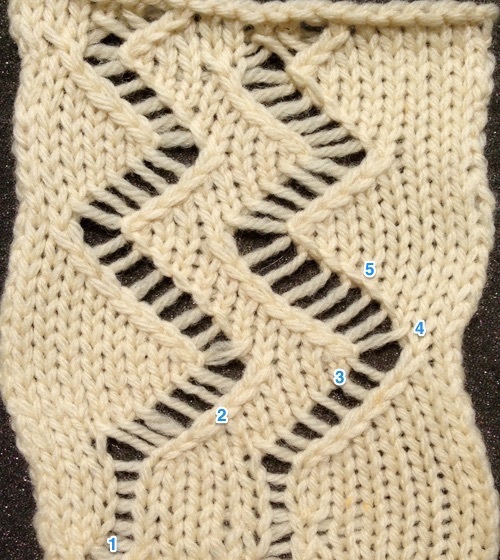 For my sample I began knitting with COR, and to end with COR for bind off row, I chose to work with even numbered groups of rows. 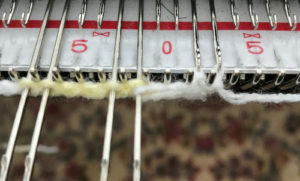 Consider fiber content if the intent is to permanently block as flat as possible, or not. 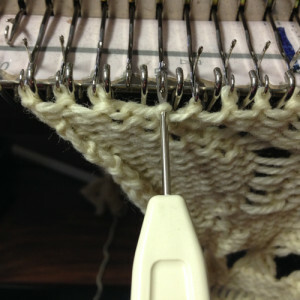 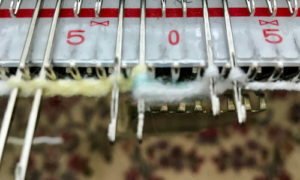 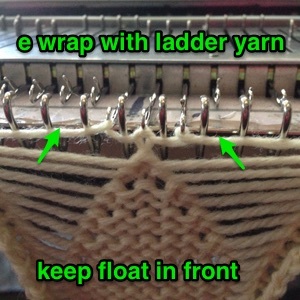 To use: rehang open stitches on every needle (or other arrangement) eliminating ladder spaces and bind off, join to another piece of knit, etc.